There is no question that theft-related charges in Florida can have serious consequences. In order to defend yourself from a theft or shoplifting conviction, you need a criminal defense lawyer who understands the legal aspects and the personal impact these charges may have on your life. At The Umansky Law Firm, our attorneys have over 100 years of combined experience defending all types of theft cases and can guide you through this difficult time in your life. If you have been charged with theft, shoplifting, fraud, forgery or any type of criminal offense in Orlando, our theft attorneys can provide the aggressive defense you need. As former prosecutors on the state and local level, we have experience on both sides of the courtroom and can stay one step ahead of the prosecutor from beginning to end. At The Umansky Law Firm, we handle all types of theft and fraud cases in the Central Florida area, with an emphasis on shoplifting charges. Contact us today. Crimes of dishonesty can affect your employment in any job. Theft and fraud convictions could result in loss of professional or occupational licenses and loss of college scholarships. Believe it or not, if you are convicted of a theft offense, the judge can and usually will suspend your driver’s license. We often find that clients accused of theft and white collar crimes are good people who have had lapses in judgment. Perhaps you are a housewife, college student or tourist. We always do our best to resolve these matters quickly and efficiently by using creative strategies. If you are a first-time theft offender, you may be eligible for a diversion or intervention program which can result in your charges getting dropped or dismissed. When charged with a theft crime there are many different defense strategies that an attorney may use. For example, you may never have intended to steal the item in the first place and an experienced attorney will work to make sure the prosecutor cannot prove the offense was committed intentionally. We represented a client after she was caught shoplifting from a retail store in Orlando. Our client had never been in trouble before, but the prosecutor was trying to charge her with scheme to defraud which is a felony in Florida. Instead, our attorneys were able to convince the prosecutor to charge her only with a misdemeanor and instead of jail or probation we persuaded the prosecutor to put our client in a first offender program. Now all our client must do is complete the program and the State of Florida will drop the charges against her. If you have been charged with felony or misdemeanor theft, shoplifting or burglary, our theft lawyers can represent your interests in a Florida court of law. Get in touch with our firm anytime, day or night, for a free consultation. Contact us online or call The Umansky Law Firm at 407-228-3838 now to schedule your free case review. 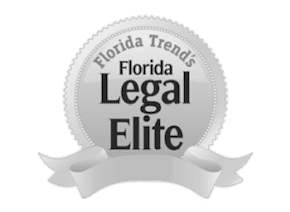 Attorneys William Umansky and Zahra Umansky with The Umansky Law Firm are former prosecutors and active members of the Central Florida Association of Criminal Defense Lawyers and Florida Association of Criminal Defense Lawyers. They can use their criminal defense expertise to help lessen or even dismiss criminal theft charges. At The Umansky Law Firm, we do more than a free consultation! We ask you to call or come in for a case review. Our lawyers will meet with you, review your documents and explain what defenses you may have and answer whatever questions you ask. After, we will use our special strategy planning tool, where we begin to start planning a resolution to your case. You will also receive our free guide on how to navigate through the court system, which can be very confusing for most folks.